Celebrate the season with us! 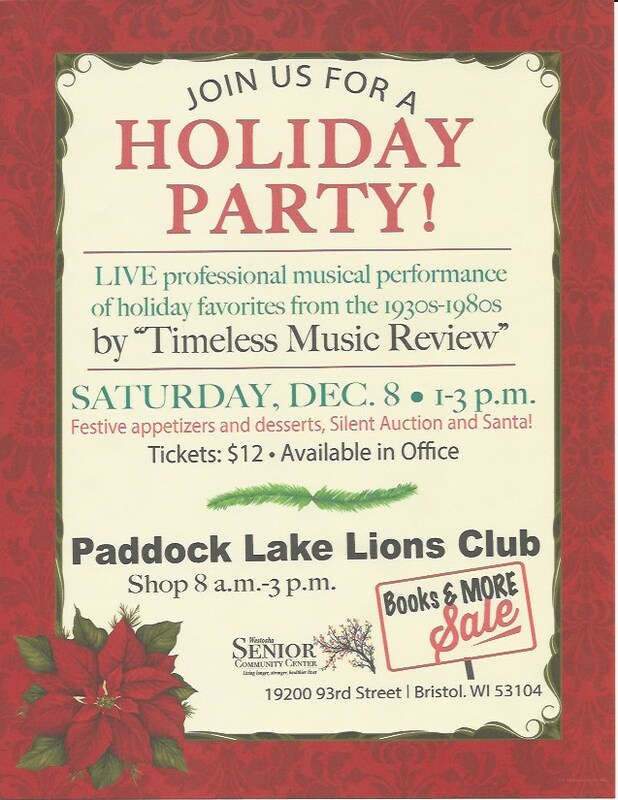 Timeless Music Review will sing and dance for us as we savor healthy treats and visit with Santa. Don’t forget to shop down the hall at Paddock Lake Area Lions Club Books and More rummage sale event 9 a.m. to 3 p.m. Each $12 ticket for the holiday party includes a $1 coupon to spend at the Lions sale.